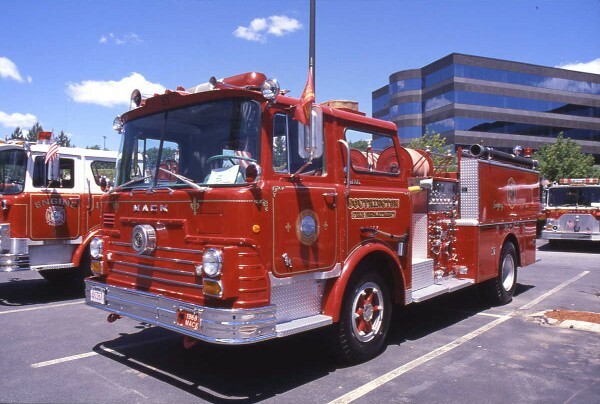 Mack Trucks of Allentown, Pennsylvania began building fire trucks around 1911.
proved to be as tough and reliable as the saying "Built like a Mack Truck" indicates. 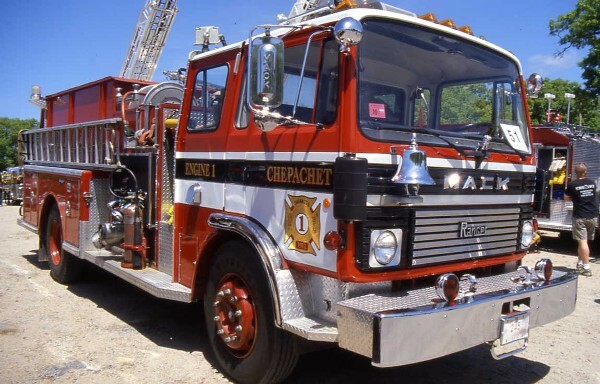 Thousands of these classic apparatus served over the years. 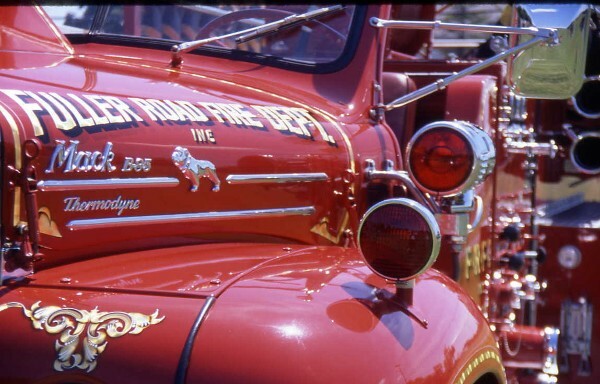 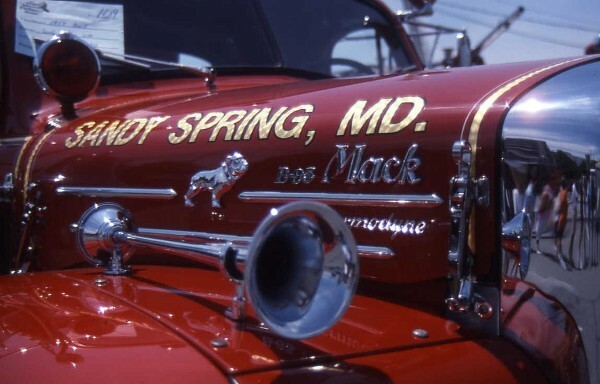 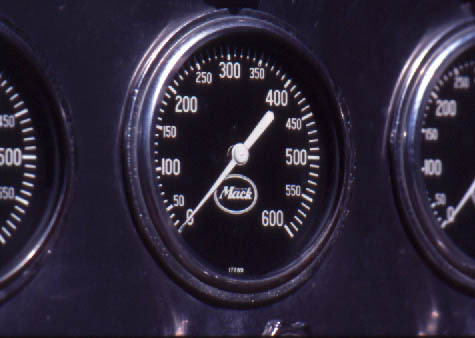 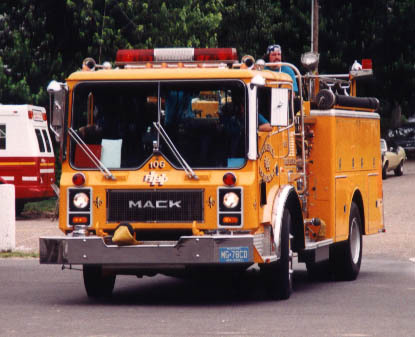 Mack stopped making custom apparatus in 1990 to the dismay of Mack fans. 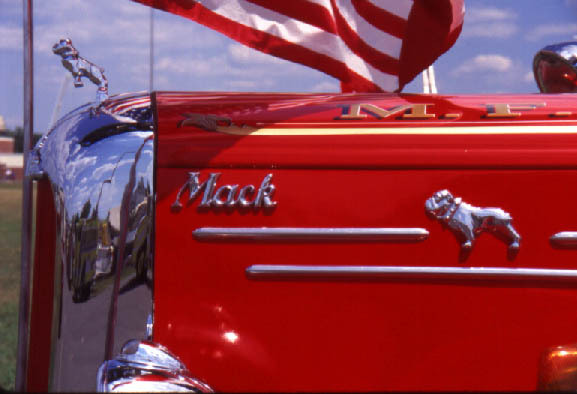 This is a tribute to some of the Macks I have admired had the pleasure of photographing. 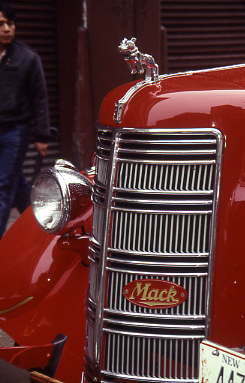 Above Photo: The highly polished chrome radiator on a Mack B Montreal ladder truck. 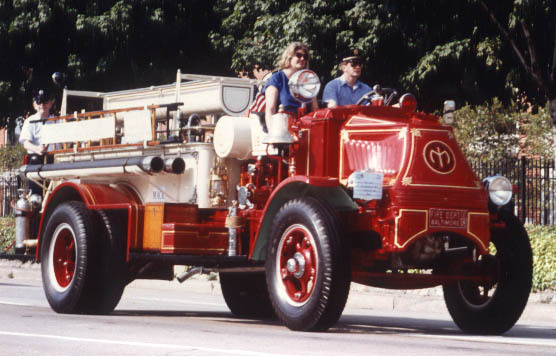 A mid 1920's vintage Mack AC series pumper from Baltimore in parade. 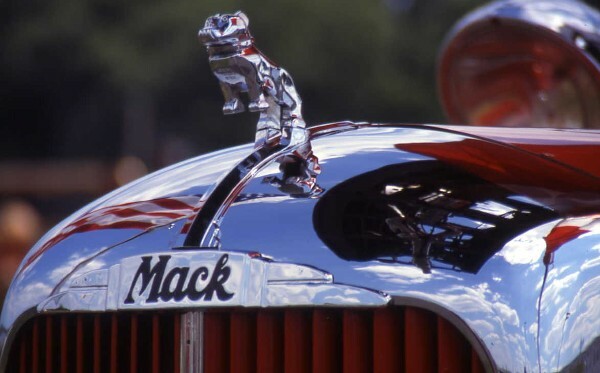 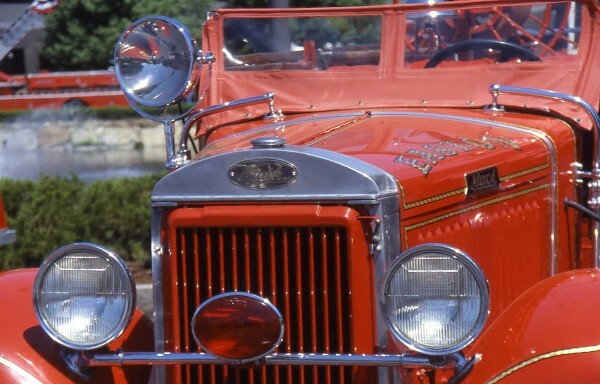 The Mack AC had a particularly recognizable snub-nosed hood. 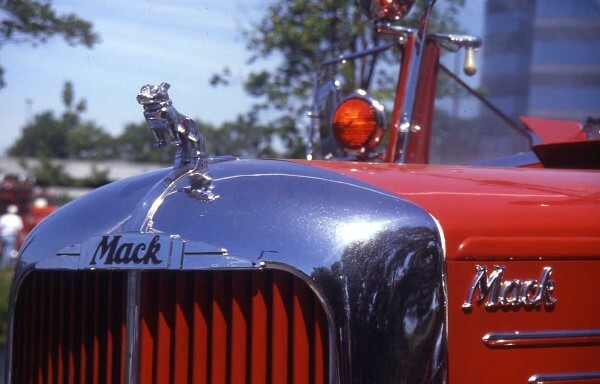 This style Mack was built between 1916 and 1938. 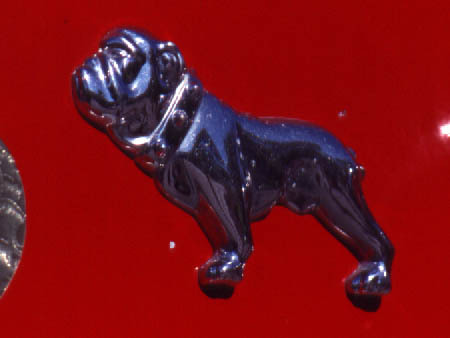 It was very rugged and its performance first earned the name "Bull Dog." 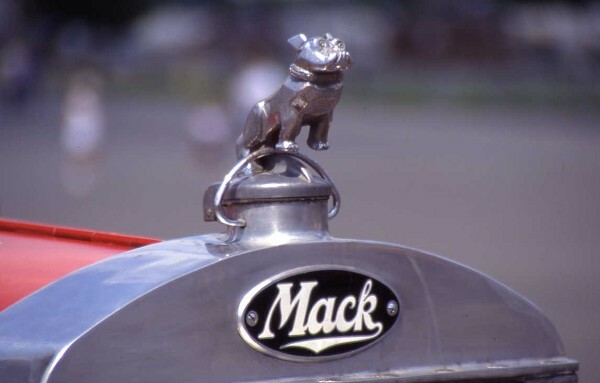 The Bulldog radiator cap of an early 1930's Mack "Early B series" pumper. 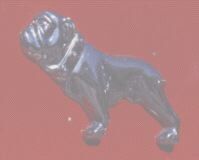 The Bulldog radiator cap of an early 1930's Mack "Early B"
the Lynnfield, Mass Muster held each June. 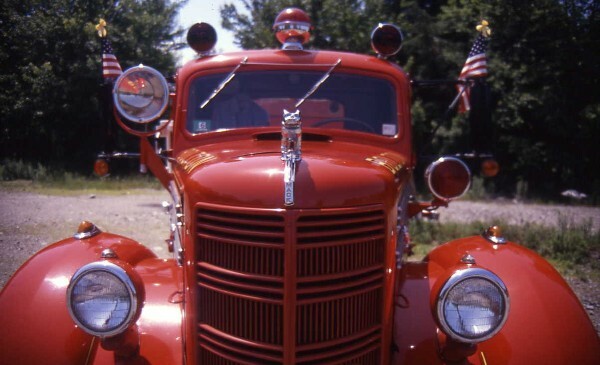 The 1940's vintage Mack "E". 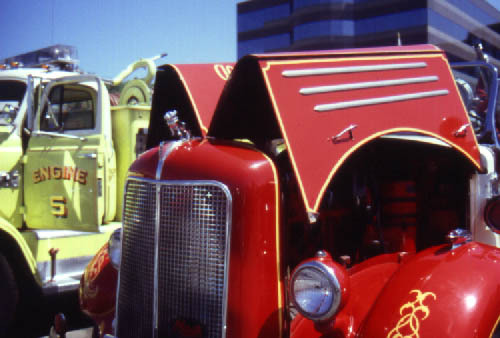 1940's Mack "E" Type 80 pumper with hood open for cooling. 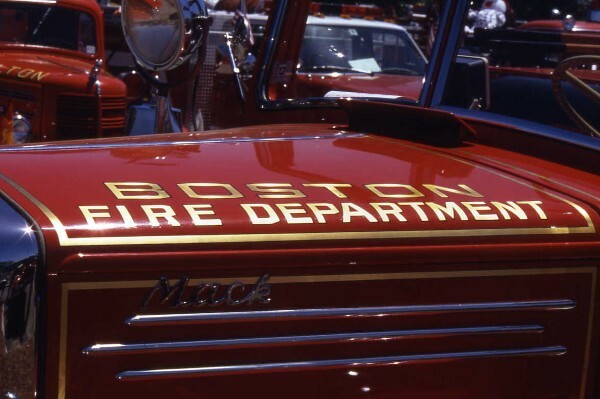 1950's Mack "L" Model hood of a Boston Engine. 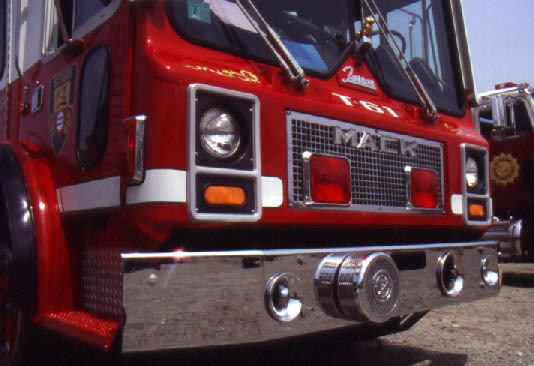 Mack B-85 Thermodyne pumper from Fuller Road Fire Dept. 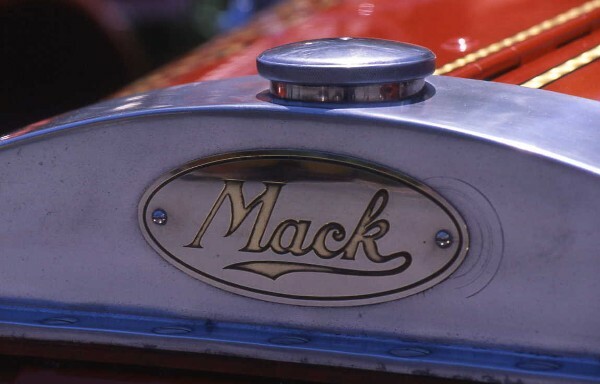 "Built Like a Mack Truck"
The Mack C series logo used between 1957 and 1967. 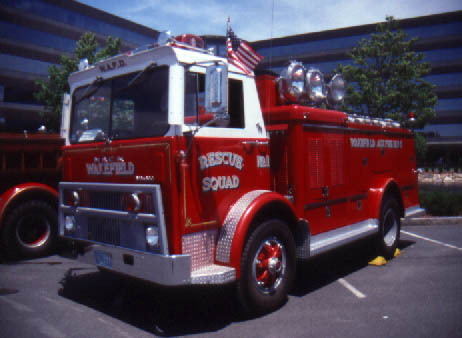 Early Mack CF pumper at Lynnfield 2004. 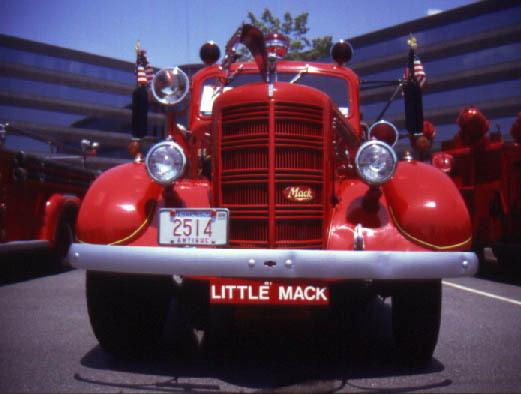 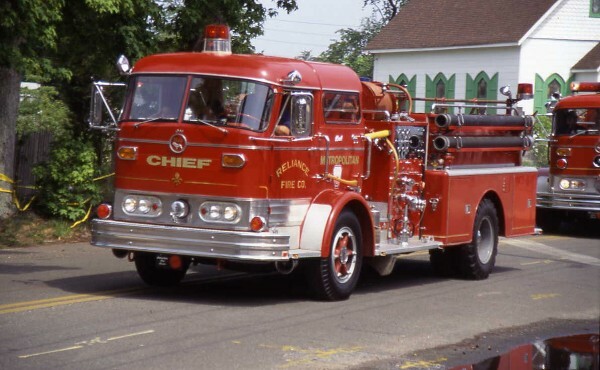 Mack CF Series used from 1967 until Mack stopped making fire trucks in 1990. 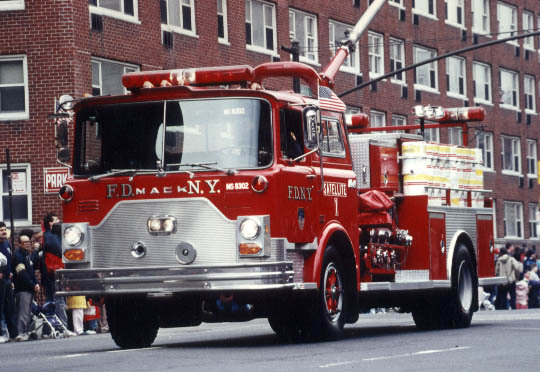 FDNY was 100% during a good deal of this period. 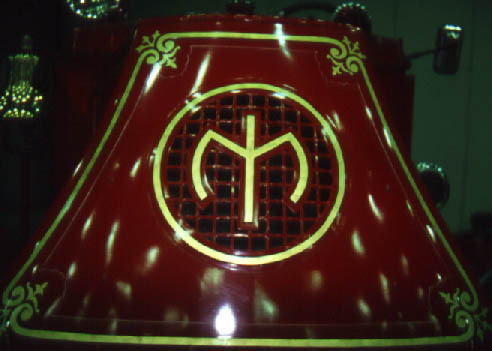 Satellite 1 with the BIG gun.